DigitalNZ brings together more than 30 million items from institutions such as Wairarapa Archive so that they are easy to find and use. We added this one from this URL on 06 June, 2014, and last updated what we know about it on 10 February, 2016. This item is an image. It was created by an unknown creator on or around the date 1910-1930. 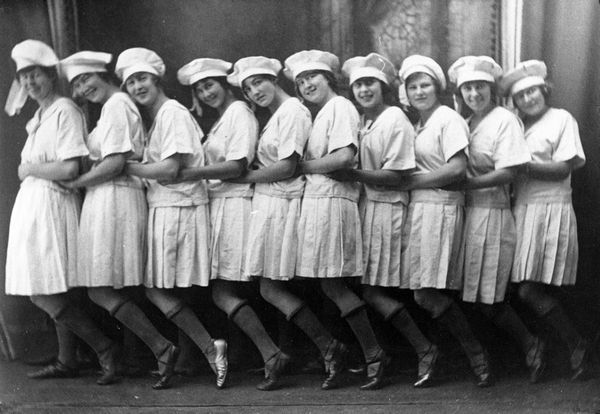 A group of ten young women from the Masterton Amateur Dramatic Society dressed in white pinafores and soft peaked hats.